Made in USA on the beautiful Alabama Gulf Coast by a former Hairstylist and her friends. 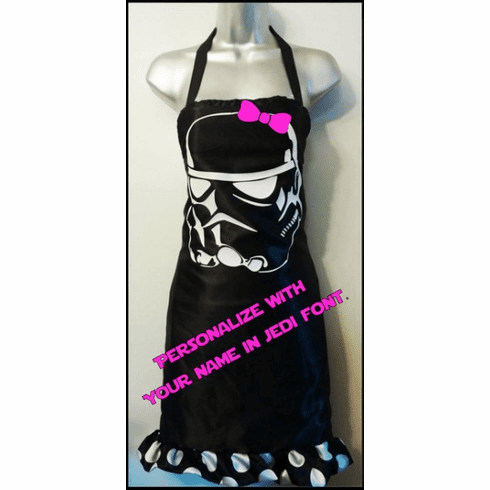 This is the only place in the world that you can get these aprons. Thank you for supporting American Small Business!! Our Salon Wear is made of a triple layer of synthetic material for maximum protection and durability. "WATERPROOF and STAIN RESISTANT: Our stylist aprons are sealed with silicone. This is the same type of application that is used by Snowboarders to keep their clothing dry. Because the hairdresser apron material is synthetic, hair color does not stain. (As all hairdressers know, you can't color or bleach synthetic hair.) The same principle applies with our regular and plus size hair salon aprons. WATCH STAINPROOF STYLIST APRON VIDEO DEMO "
+Hair will not stick to our Hair Stylist Aprons ! +You can throw it in the dryer, but hang to dry or dry on cool for items that have picture on them.